[Everyday] Psychophilosophy » Why Have Regret? Why is it, late at night, so comfortable in your bed, the quiet whir of crickets outside, your pillow like a sheep’s coat beneath your head, that all the regrets of the day storm into your skull. That rap battle comeback you could’ve said. That game-winning three-pointer you could have made. That runway model you could have asked out. …what? These aren’t the kind of regrets you have? Yeah, me neither. But these are the regrets I regret I don’t have. A perfect illustration of counterfactual thinking. But do you know which one? Counterfactual thinking is when you relive a moment from your past but imagine how things could have gone differently. Throughout the day, we are constantly engaging in counterfactuals, of which, there are two kinds: upward and downward. An upward counterfactual is when you imagine how things could have gone better (the kind of counterfactual you—or at least me—engage in before sleep). For example, I got a haircut the other day, and I could tell she wasn’t cutting it the way I desired. However, instead of saying something, I just sat there and agreed to Jim Carey’s haircut from Dumb and Dumber. Paying for my bill, then, I kept making the upward counterfactual of not being a doofus and just saying something. Oh the other hand, as I was exiting, I saw another client’s recent haircut and he had been given a mullet. To which I thought: At least I’m not that guy—a downward counterfactual, or imagining how things could have been worse. Now, we often engage in counterfactual thinking for motivational purposes. That is, by engaging in upward counterfactual thinking (which elicits disappointment, regret, etc. ), we use those emotions to make sure we get good haircuts the next time. In contrast, when we engage in downward counterfactual thinking (which elicits relief, happiness, etc. ), we use these emotions to feel better about ourselves. A famous study on this comes from Medvec, Madey, and Gilovich (1995) who interviewed medalists from the 1992 Summer Olympics. Now if you naively had to guess the order of happiness for these winners, you would probably think the order went gold, silver, and then bronze. However, if we consider the most salient counterfactual to each of the competitors, a different story emerges. First, the researchers note that the gold medalists are so happy they don’t even fit on the happiness scale. 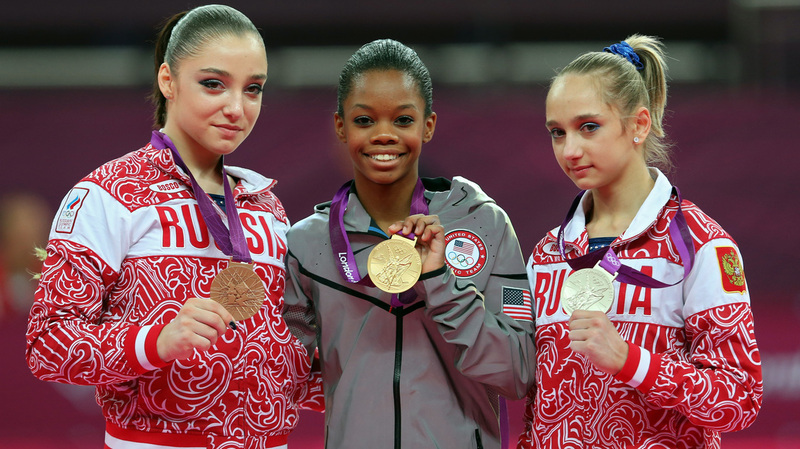 For the other two, though, the data revealed that the bronze medalists were significantly happier than the silver medalists. Well, the bronze medalist is thinking, “Phew! That could have been me down there, not even winning a medal” (a downward counterfactual). On the other hand, the silver medalist is thinking, “Gosh! That could have been me up there, if only I had tied my shoes tighter!” (an upward counterfactual). Medvec, V. H., Madey, S. F., & Gilovich, T. (1995). When less is more: counterfactual thinking and satisfaction among Olympic medalists. Journal of personality and social psychology, 69(4), 603.
there is an imgur article about this…one of the commenters could be you! This is a great topic. The book I’ve been addicted to recently, The Power of Now, talks about a similar subject. Negative counter factuals projected into the future create anxiety, while positive counterfactuals proected into the future help a person ignore their present state (loss of presence). A negative counterfactual in the past weighs a person down with emotional package, while a positive counterfactual in the past creates a sense of loss and lowers self esteem, because the mind is focusing on a problem that it cannot solve. All four types of counterfactuals, (past, future, negative, positive) are all mind-created problems that distract you from the real task: enjoying some peace and quiet while you lay in bed! “The Power of Now”–this book sounds interesting. I hadn’t heard of counterfactuals broken down like this, but I think the more precise language opens up this topic for a more fine-tuned analysis. And I loved your ending to the comment: When can I get some peace and quiet before sleep? ?